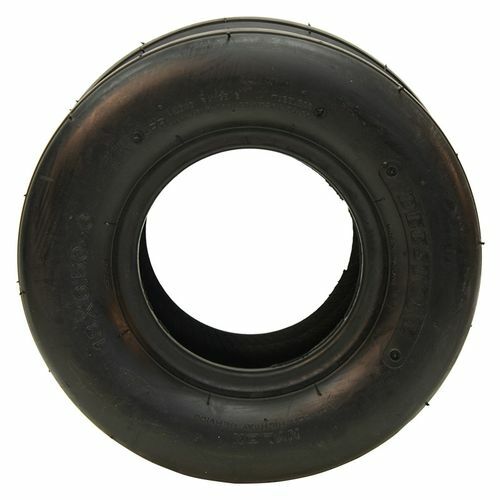 The Deestone D837 tire is a rough and ready addition to the Deestone line of lawn and garden tires. It is tubeless and has a B load range with 2 ply, 4 ply, and 6 ply construction. With a maximum load weight of 1050 pounds and 48 psi, this tire can take a real beating. Tubeless tires have an advantage because there are less parts which need repair in the case of a puncture, and should you find a nail lodged in the tire; you will also usually notice that it affects the psi of the tire minimally. 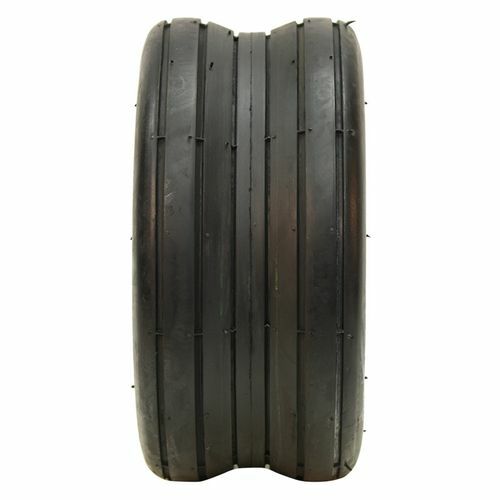 These T/L D837 tires are waiting to go to work for you today. The D837 ranges in size from 11X4.00-4, 11X4.00-5, 13x5.00-6, 13x6.50-6, 15x6.00-6, 16X6.50-8 and 18x8.50-8. 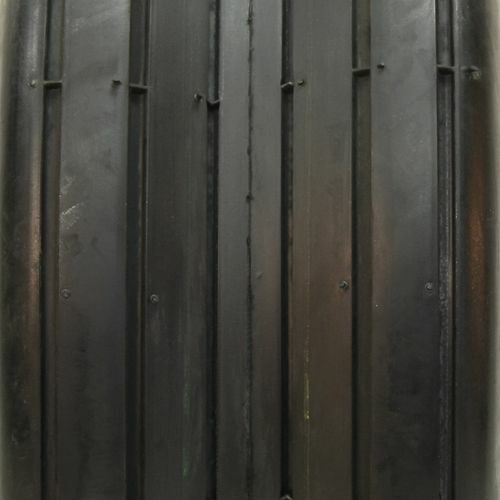 A variety of tread depths have been manufactured with the D837 ranging from 2.2 mm, 2.5 mm, 2.8 mm, 3.0 mm, 3.2 mm, 3.7 mm, 4.3 mm. Maximum load for the D837 ranges from a small 210 pounds to a whopping 1050 pounds with in-between weights of 225 pounds, 290 pounds, 330 pounds, 410 pounds, 562 pounds, 615 pounds, 760 pounds, and 825 pounds. 11/4.00--5 N/A N/A N/A 3/32nds N/A 4" N/A 11"
Purchase includes the Deestone D837 tire only. The wheel rim shown in the picture is not included. Picture provided is a stock picture from the manufacturer and may or may not reflect the actual product being ordered. 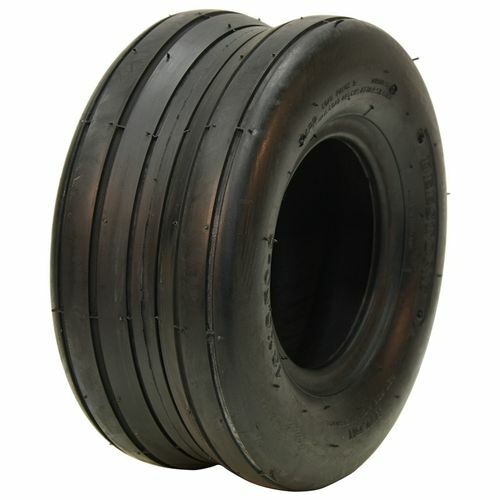 All Deestone D837 tires are continuously developing with manufactured improvements. With that said, Simple Tire and the manufacturers have the right to change these tire specifications at any time without notice or obligation. Please Note: Specifications of the Deestone D837 tires shown above are listed to be as accurate as possible based on the information provided to us by Deestone tires. Look just like the factory tires. Fit perfect. By submitting a review, each person received a sweepstakes entry. Good Quality heavy Duty tire for a Great price. Tire store that put tires on even said these where a good quality tire.